St. Joseph’s Kingswood has seen many changes over the decades. If you would like to assist us with developing St. Joseph’s history page by providing event photos and stories, please don’t hesitate to contact us. We would love to hear your recollections and see photos of how the parish have worshipped and celebrated together! Upon the departure of Fr. Paul Hopper CSSp in January, St. Joseph’s was placed under the care of the Parish Priest of St. Nicholas Of Myra in Penrith. We warmly welcomed Fr. 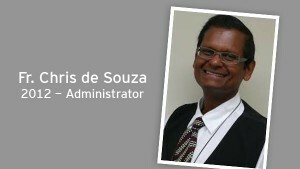 Christopher De Souza and Fr. 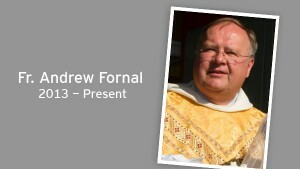 Matthew Antony MS, who celebrated mass at Kingswood and administered our parish, throughout 2012. On 23 October, St. Joseph’s Parish celebrated it’s 35th Anniversary. To commemorate the special occasion, a beautiful grotto to Mary the Mother of God was built and marked the beginning of Marian Devotions. The celebrations fittingly started with Mass celebrated by Bishop Kevin Manning and after a great buzz at the church grounds as parishioners met for tea and cake, and the sound of happy children filled the air. It was wonderful to see a parish worship and having fun together as a community all in the same day. In February, Fr. 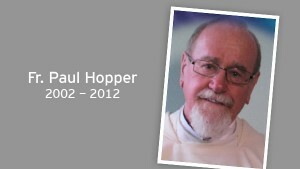 Paul Hopper CSSp was appointed as the third Parish Priest. He spent 20 years in West Africa as a Spiritan Missionary, and evangelisation and community building were dear to his heart. The RCIA team saw growth and the Children’s Sacraments team encouraged greater parent involvement. The Parish was also blessed with the involvement of Robert Reidling, a seminarian for the Parramatta Diocese. During Fr. Zvonimir’s six year period (1995 to 2001), many parishioners faith was renewed and strengthened. 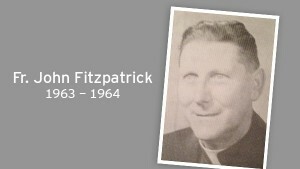 He built up a parish community based upon friendliness and openness and established a Catechist Team for the State Schools as well as a Catechumenate Team. Other projects he established in order to bring the community together were the Hospitality after Mass, the Dinner for 8 and Christmas get-together for the helpers and ministries in the parish. He saw a need for a Parish Mission and in May 2001, a Mission was given by the Redemptorists. The area of Kingswood emerged from a country village to a high density growth district. To help this community meet the exciting challenges towards 2000 and beyond, upon the retirement of Fr. Basil in 1995, Fr. Zvonimir Gavranovic was appointed the second Parish Priest of Kingswood. During this time Fr. Zvonimir accomplished many achievements and helped the parish to develop into a growing and fulfilling community with a bright future. The Sisters of St. Joseph’s administered and taught in the school from its opening in 1963 to 1981. Dwindling numbers and fewer vocations caused their withdrawal and the first lay principal was appointed in 1982. St. Joseph’s Primary School serves the Catholic Parish of Kingswood and supports the parish in its mission of evangelisation. The church became part of the Penrith Parish, Fr. 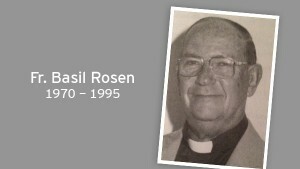 Basil Rosen was appointed as the first parish priest of St. Joseph’s Kingswood. With his appointment, a period of enormous growth began. He was dissatisfied with the conditions in the school and immediately took steps to remedy the situation, resulting in the opening of new comfortable modern brick buildings. Fr. John Fitzpatrick, Parish Priest of Penrith, realised his dream of building an ‘out’ church at Kingswood to cater for the needs of the relatively new and rapidly growing suburbs. St. Joseph’s Church was blessed by Cardinal Gilroy on 10 February. Fr. Geoff Dickinson was a curate at Penrith, and remembers saying ‘very many masses’ at the new church. The site for the existing church and school was part of an original grant to Samuel Foster. Gustav and Tess Klein purchased the land on which St. Joseph’s Church was built as part of a five-acre property where the family resided until it was sold to the Catholic Church in the early 1960s.